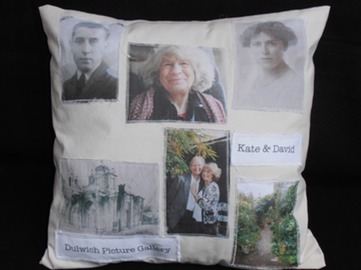 "A very treasured possession… it holds all the key memories...I look at the cushion now - knowing that it will last for so long, and I treasure its presence"
Made to preserve your special memories. 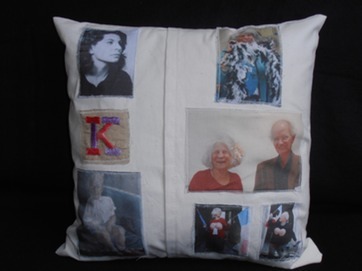 I will include your own photographs, important names, places, phrases and key things in your life. The example here features images front and back. These first came out of my collaboration with http://www.westminsterarts.org.uk/ I am one of their artist project partners.